A brilliant, delicate, delicious & poetic movie. The music (composed by Armand Amar) is superb. Radu Mihaileanu knows to picture the tragedy with a big touch of love and hope. 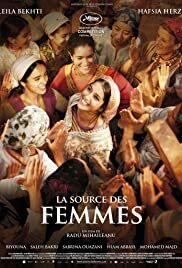 The movie denounces the injustices that live the majority of women in the Arab countries, with a touch of beauty and comedy. Radu Mihaileanu shows us that to change the reality without violence is still possible in this violence world. Another jewel from this amazing director who surprised us in the past with incredibly beautiful and powerful movies such as "Train the vie" (1998), "Va, vis et deviens" (2005) and "Le concert" (2009). Antonia Tejeda Barros (Madrid, Spain).